Camping food is more than just hot dogs and marshmallows. On a camping trip, you can cook just about anything you like, as long as you bring everything you need with you to the campsite. What can be prepped in advance? What will last in the cooler? Will my family actually eat this? It seems that easy, not so healthy, food seems to be the standard for most camping trips. Why do you think that is? Convenience is a big reason. But camping meals can be both delicious and heathy with a little planning. You can go beyond the junk food and eat more real food when we’re camping without it being inconvenient. Just like weekly meal planning at home, you should write a detailed list of what you will be eating for each meal on a camping trip. This meal plan will also help when you go to do your grocery shopping. Choose meals that travel well. How will you store the food you’re brining? How much space do you have? Does it need to be refrigerated? Choose menu items that don’t take up a lot of space, or can be packed tight, get banged up and stored in light weight containers. You want food that won’t spoil easily or leak in the cooler. Here I have 26 different camping menu ideas and camping recipes ranging from breakfast to dessert. Consider the tools you’ll need. Choose meals that do not require a lot of equipment to make, such as cooking stoves, pots and pans. To make it easier on you, plan to cook meals using 1 or 2 pieces of equipment and the tools you need to stove on them. An oven mitt, metal tongs, and metals spatula are great tools to keep in your camping box so you’ll have them on every trip. Prep at home before your camping trip. This is your vacation too! You don’t want to spend your camping trips chopping and slicing vegetables and other prep work. Do as much as you can ahead of time to save the hassle. Put the prepped items in labeled containers. Marinade and freeze meals ahead of time. For your meat dishes, marinade them ahead of time by pouring them into a large freezer bag with the marinade. Freeze the bags to reduce the need for additional ice in the cooler. Create foil packet dinners ahead of time. Combine everything you need in a foil packet, including seasonings and freeze. Foil packets can be pulled out of the cooler and placed directly onto the grill or camp fire. 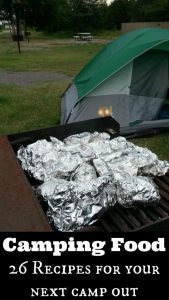 Aluminum foil is a life saver on a camping trip. Always keep one roll in your camping box, two is better. You can use foil to cook food over the fire, keep food warm, and wrap up leftovers. Heavy duty foil is best, but the normal stuff works great too. Put condiments in smaller containers. Need to bring ketchup, mustard or mayo? Instead of bringing the whole bottle, put smaller amounts into a smaller container to save space. You can also stock up on condiment packets the next time you go to a restaurant. Spices can be transported in drinking straws. Seal the edges on one side, fill the straw section, and then seal the other end. Leftovers are a good thing. Use leftovers for the next day’s meal and save yourself some cooking. For example, add leftover chicken to nachos, a burrito, or a chicken sandwich. Just because you plan on cooking all of your food over the fire, doesn’t mean you’re limited to what you can cook. Think of the fire as a fire outdoor grill. Anything you can cook on a grill, can be cooked while camping. Get creative and don’t forget the aluminum foil. Go with the flow, but be prepared. Sometimes camping is a true adventure. 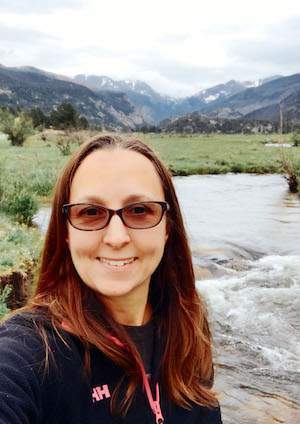 Animals, campsite neighbors, and weather can all change up your camping menu plans. Make sure you secure your cooler and dry goods properly so they are safe from animals. Pick up firewood in the area you’ll be staying. Once you get to your campsite cover it to protect it from rain. The weather forecast may call for dry weather, but you never know. Just in case things happen beyond your control, a plan B is always a good idea. Camping with the family can be a lot of fun. You get outdoors, enjoy some relaxation, and have fun as a family. These tips for planning a camping menu will help you create delicious and healthy meals that your family will love. 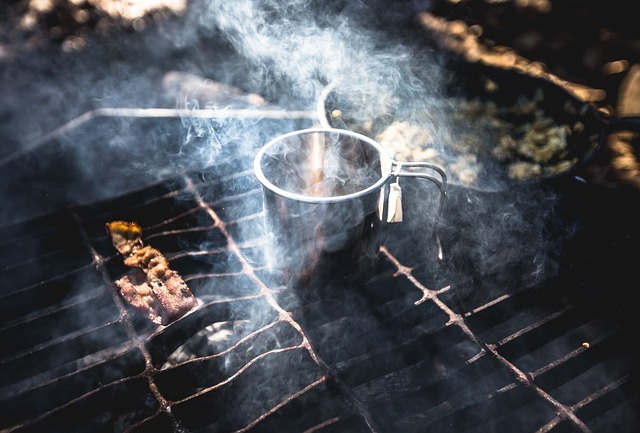 If you need additional help with your camp menu, take a look at a few of our popular camping meal plans. Such great tips! I particularly like your shout out to aluminum foil. So true! Glad I found your blog. Very helpful and entertaining! Hi Heather. I'm so happy you found these tips helpful. I never go camping without aluminium foil and duck tape.